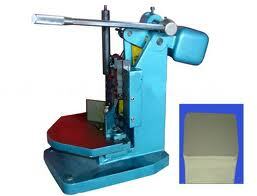 Our round corner cutter has the capacity to cut items up to 17 inches wide. We have many blades for cutting various radii. Does your item require 4 round corners? We can do that too! If your item is over 17 inches, we can die cut the corners.